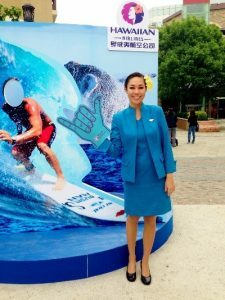 Born and raised on the island of Molokai, Kamyl Burrows joined Hawaiian airlines as a customer service agent in 2012, before becoming a flight attendant in 2016. When not flying, Kamyl spends her time relaxing at the beach. How would you describe Moloka‘i – what makes it different from other Hawaiian Islands? Known as the “Friendly Isle,” Molokai is an island lost in time. Small, tight-knit communities offer a sense of homegrown hospitality unique to the Hawaiian Islands. The slow pace makes Molokai the ultimate relaxation destination for those looking for an island getaway. 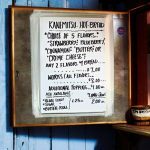 Kanemitsu Bakery, located in the heart of Kaunakakai, is the home of the famous Molokaʻi Bread. Feeling adventurous? Return at night and treat yourself to some “Hot-Bread.” Warm, fresh, and made-to-order, these loaves of bread are sure to satisfy your sweet tooth! Molokai is home to some of the world’s tallest sea cliffs, some easily exceeding 3,500 feet. Located on the north shore of the island, this stunning coastline is not accessible by car, but rather by boat or a helicopter tour. What’s your favourite sightseeing spot? Palaʻau State Park is a short 20-30 minute drive from the main town of Kaunakakai. 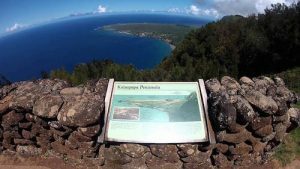 It overlooks the Kalaupapa National Historic Park, which was once the home to people affected by Hansen’s disease, more commonly known as Leprosy. Hotel Molokaʻi is one of the few hotels on the island – centrally located with great oceanfront views. No fast food chains! 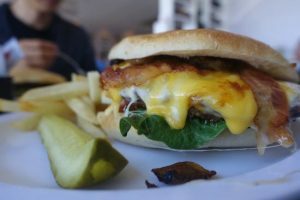 Treat yourself to family owned restaurants and cafes. Molokaʻi Pizza Café offers hand tossed pizzas and daily specials that make it a tasty option for lunch or dinner. No malls here either – but Moloka‘i has a number of charming souvenir and small boutique shops. 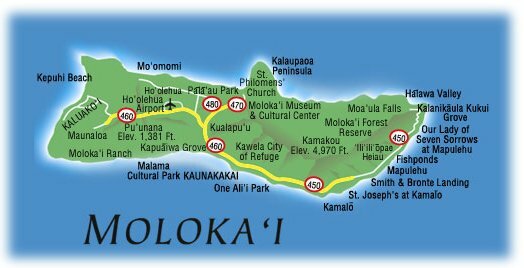 Molokaʻi is a very safe place to vacation, with friendly and accommodating residents. While you won’t find the typical family attractions such as zoos or aquariums, you can count on a great day spent at a beautiful uncrowded beaches. I recommend Dixie Maru Beach (aka Kapukahehu) for swimming and spectacular sunsets, Kepuhi Beach for surfing in the winter months, and Hālawa Valley Beach Park, which features two bays nestled in a lush, green valley and is home to the Mo‘oula Waterfall. Hiking, fishing, camping, hunting – Moloka‘i has it all. 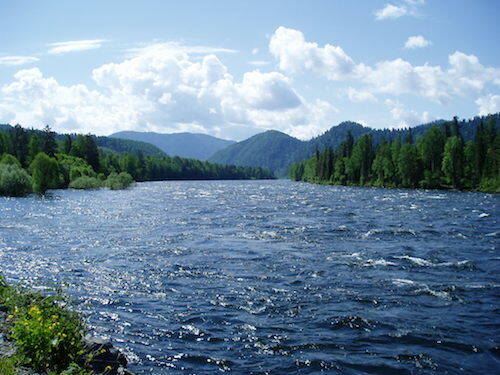 If you are looking for outdoor activities, this is the place for you! 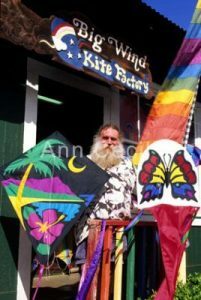 Stop at the Big Wind Kite Factory and pick out an awesome handmade kite to take home as a souvenir. The free Saturday Market in Kaunakakai town features local vendors and island-themed products. Best tip for travelers passing through Moloka‘i Airport? The airport is very small. No long TSA or check-in lines. Food options are limited so plan accordingly if you have a long day of travelling ahead. I love the sense of pride that Hawaiian Airlines employees hold for our company – Hawaiʻiʻs largest and longest serving air carrier. The Aloha spirit is transcended through each interaction between our employees and our guests. 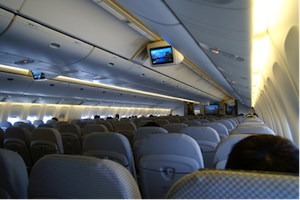 What’s your favorite Hawaiian Airlines destination? Anywhere in Japan! Amazing food, awesome sightseeing, and great shopping!